An apartment in a licensed condominium unit. Long-term leases of land are the most common way for foreigners to purchase a house and land in Thailand. As long as it’s registered at the Land Office, the current law permits a 30-year lease with a prepaid option to renew for a further two periods of 30 years each. Lots of people have successfully done that. With a reputable real-estate agent and an experienced lawyer, you should be able to find your very own piece of paradise. Many expats prefer long-term rentals. There is a wide variety of houses and apartments available throughout Thailand for a fraction of the price you would pay in Australia. 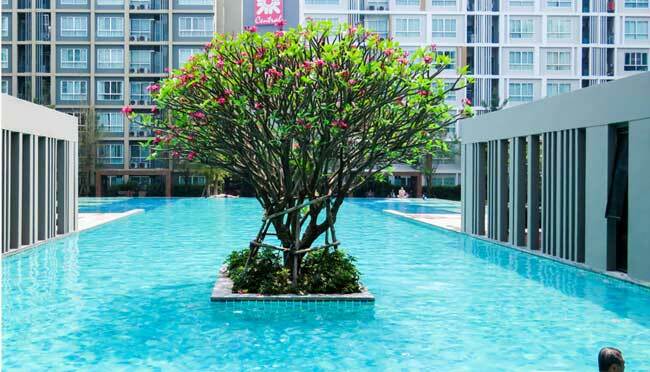 Many apartments come with fitness centres, swimming pools and 24-7 security. Monthly fees are usually included in the rental price but be sure to verify this with the owner or agent. Dubbed “the Rose of the North,” Chiang Mai is one of the country’s most culturally rewarding regions. It’s brimming with golden temples, teakwood houses, dragon sculptures and intriguing alleyways…this truly is traditional Thailand. Beyond the city, Chiang Mai province is a mosaic of white-water-rafting rivers, jungle blanketed mountains and hill-tribe villages. 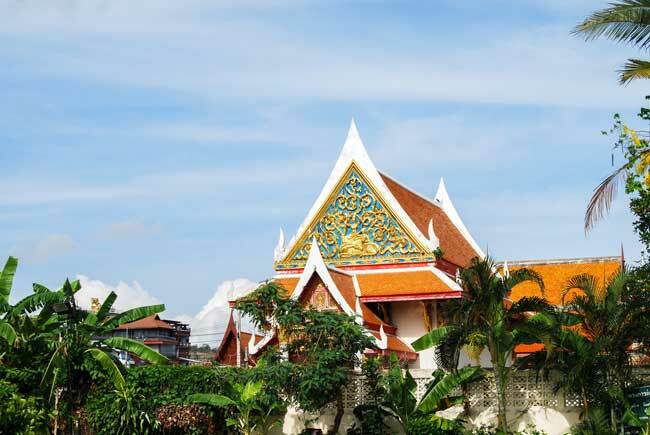 With artisan traditions going back centuries, Chiang Mai is Thailand’s arts and crafts centre. Its major drawing cards are its hand-loomed fabrics, teak furniture, metalwork, woodcarving, lacquer ware, papermaking and ceramics. It’s also good for hunting down both genuine and replica antiques. When it comes to dining, there’s a fantastic choice of restaurants in Chiang Mai. 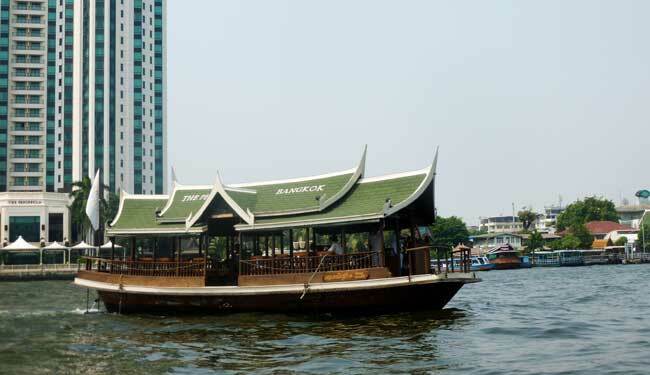 Along with the hundreds of local Thai eateries you will find a host of other world cuisines on offer in the city. The wonderful open-air design of many of these restaurants is what visitors love the most. A wide assortment of pavement cafes can be found along most of the city’s colourful streets. Whether you live inside the old, central walled city, along the banks of the Ping River, or in one of the modern apartments in the trendy Nimmanhaemin district, you will soon discover why so many expats have chosen Chiang Mai as their second home. Known to local people as Krung Thep (the “City of Angels”), Bangkok is a huge sprawl of over 10 million inhabitants. With one foot in the past and the other firmly in the present, this vast metropolis is Thailand’s capital. Bangkok is home to government ministries, the police and military headquarters and prestigious universities, schools and medical facilities. It’s also teeming with oriental splendour—a royal city complete with over 400 Buddhist temples, countless spirit houses, floating markets, weathered Chinese shop houses and the awesome Grand Palace of soaring roofs and gilded spires. Take your pick! With an eight-kilometre-long sandy beach lined with restaurants and shops, Hua Hin is a seaside city of around 50,000 people on the upper-western side of the Gulf of Thailand. Many expats prefer to settle in the smaller communities and rural countryside to the north and south of the main town centre. A new and stylish studio apartment with ocean views located right on the beach in a private Balinese style resort. Facilities include a swimming pool, spa, barbecue and restaurant. Although only 20 kilometres wide and 24 kilometres long, Koh Samui is the country’s second largest island after Phuket. It lies off the eastern coast in the Gulf of Thailand, approximately 650 kilometres south of Bangkok. 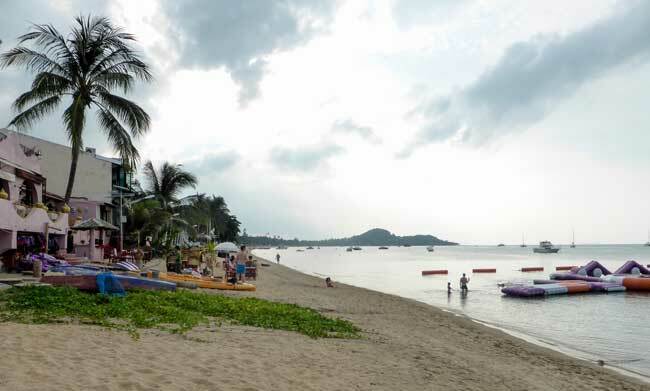 Around a million tourists visit Koh Samui every year. Hard to imagine now, but in the 1970s it was little more than a backpacker’s hangout. Think wooden huts, hammocks and bucket-drop showers. Since then its development into a fully-fledged tourist destination with luxury hotels, spas and boutiques has been rapid…and property prices are catching up fast. Although most properties are sold as holiday homes or investments for rental returns, Samui fits most requirements for long-term residence. There are several hospitals and the Central Festival Samui Mall describes itself as ‘the most complete and largest lifestyle shopping complex in Samui’. When I walk out my front door, the sweet humidity hits me. I love it because often I am jumping on my red bicycle and heading off to the pool. Nothing like a lazy, mid-morning swim. A delicious luxury. My British wife lives there full-time, along with two dogs and other gentle creatures. I still ply my trade as a foreign correspondent for the Associated Press, and commute up as often as possible from my base in Bangkok. Both of us have no regrets so far. We love the place.